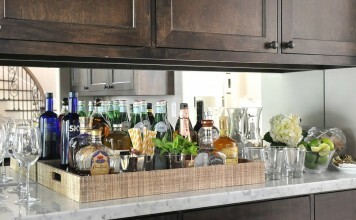 Home Architecture 10 must see places when in Rome. 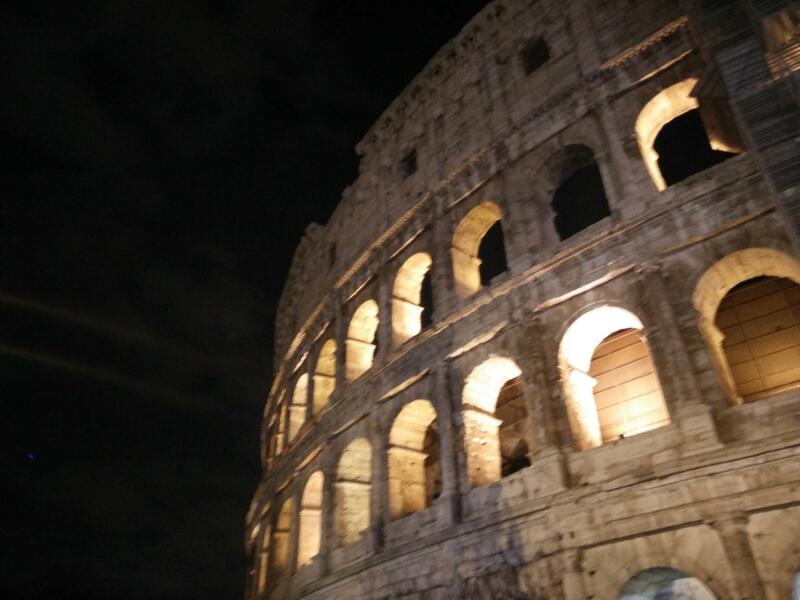 There is a famous saying that Rome wasn’t built in a day and certainly cant be experienced in a day either. 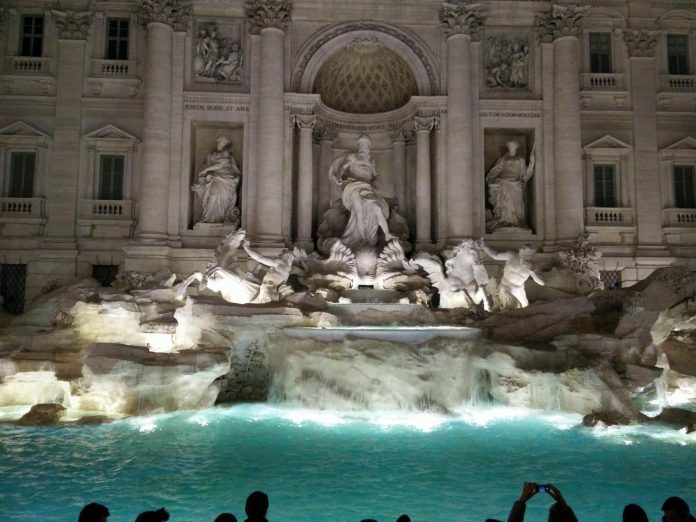 It is perhaps the most famous and historic city with millions of visitors and admirers pouring in all through the year. I had the opportunity to go and experience the city for little more than a week and what a delightful time I had. Ideally, to have the authentic Rome experience it is recommended that one stays for at least a few months. However that is not very doable for a lot of people and hence I have compiled a list of ten must go places when visiting this gorgeous city. 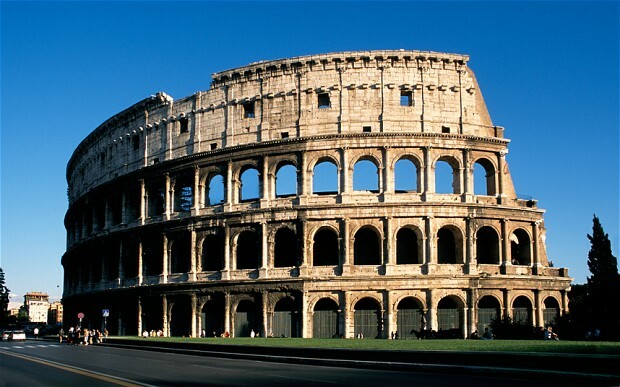 This structure has qualified and remained on the wonders of the world for a long time now. Built at the time of Roman Emperors, it houses seats for almost all the old city of Rome to come and see gladiators fight. 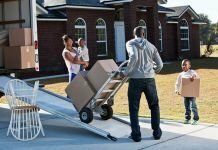 It is said this was the means of keeping the city inhabitants busy and happy while being removed for city issues and political problems facing them. This is perhaps one of the best preserved temples of the old world. Made in honor of all the deities, this temple is an architectural marvel arguably unmatched till present day. 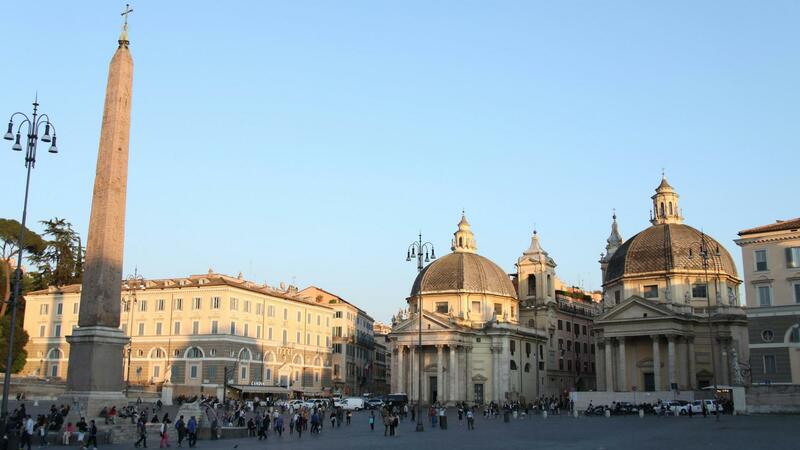 It faces the famous Piazza della Rotanda which is a hub of tourist activities throughtout the year. This fountain is in actual an elevation of a building located walking distance from Piazza Della Rotanda which also houses the Pantheon. It was designed by Italian architect Nicola Salvi and completed by Pietro Bracci. It is built in Baroque style of architecture and sculpture. 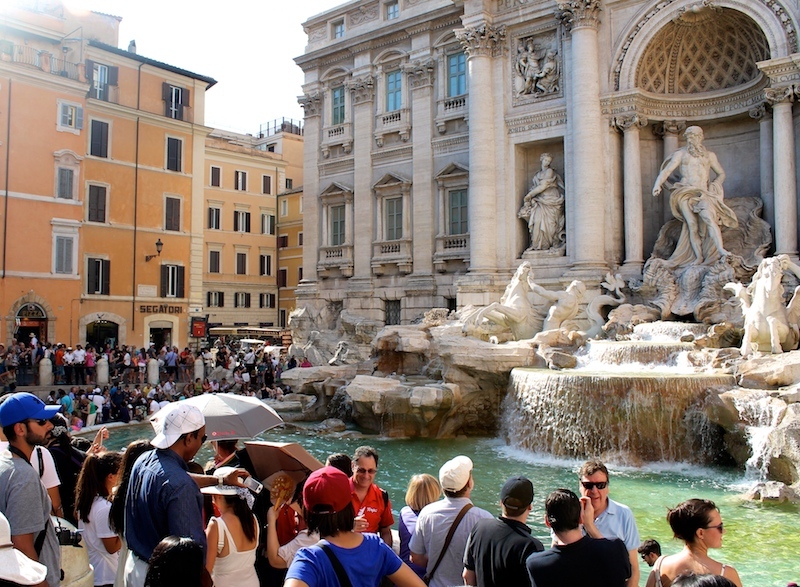 A famous legend says that if visitors throw a coin into the fountain, they are ensured a return to Rome. These steps sit between Piazza di Spagna and Piazza Trinità dei Monti. It was built by less famed architect of his times by the name of Francesco de Sanctis and were financed by French diplomat Étienne Gueffier. 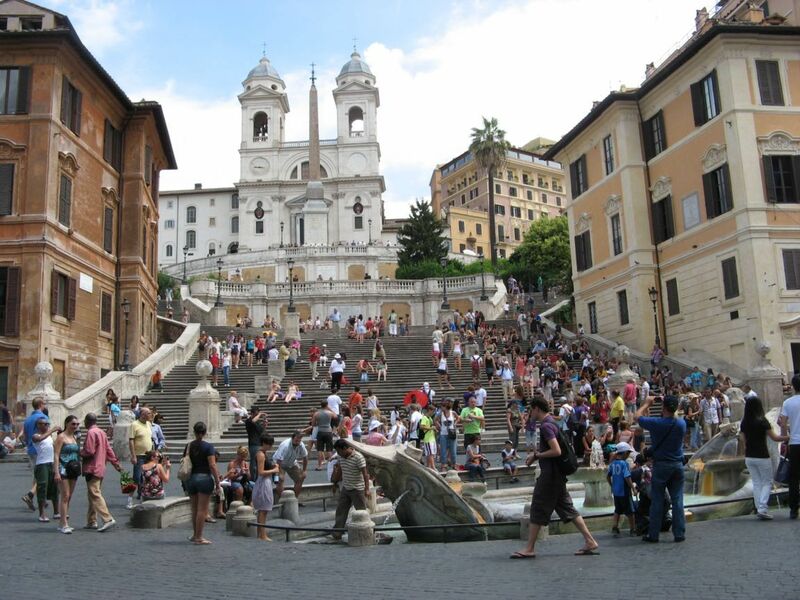 At the lower end of the stairs you can find an early baroque fountain called Fontana della Barcaccia, or “Fountain of the Old Boat” designed by Pietro Bernini. 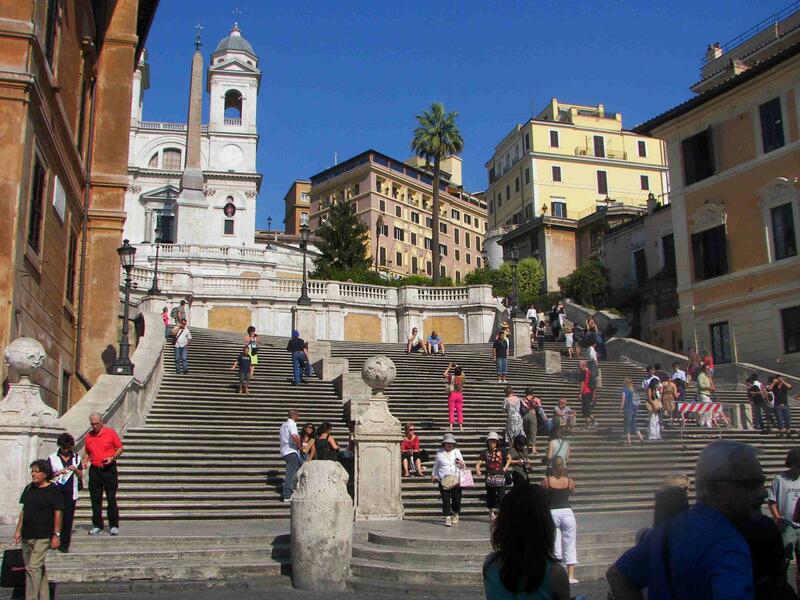 These steps have hosted lots of artists who have taken it as their favorite hangout space. 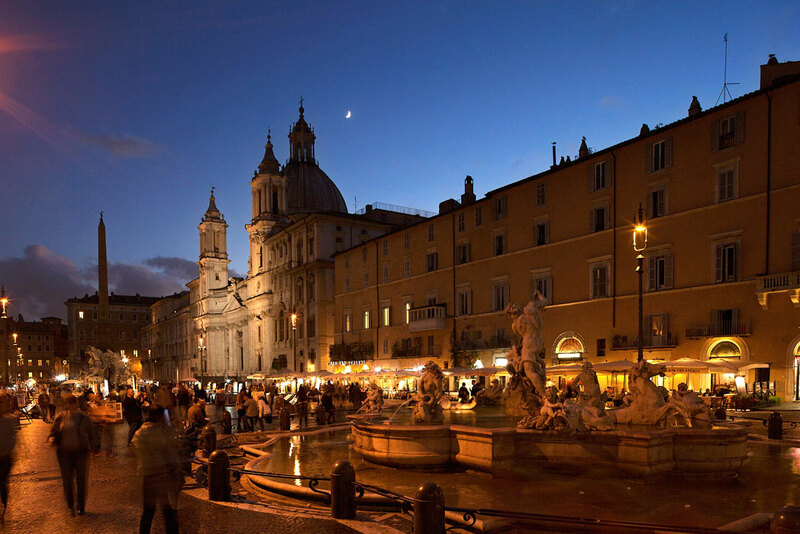 This is located in heart of Rome with beautifully ornamented fountains, obelisks and Baroque inspired buildings. Home to a lot of top brands, this piazza is where the most women can be found shopping. 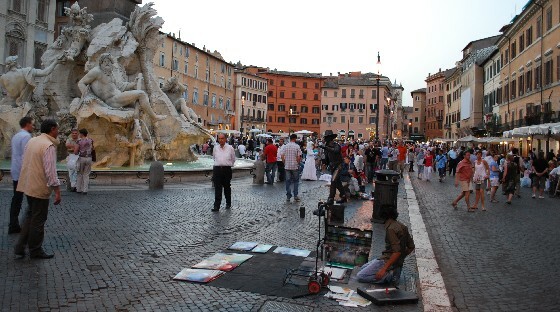 Its grand center piece is Bernini’s Fontana dei Quattro Fiumi. 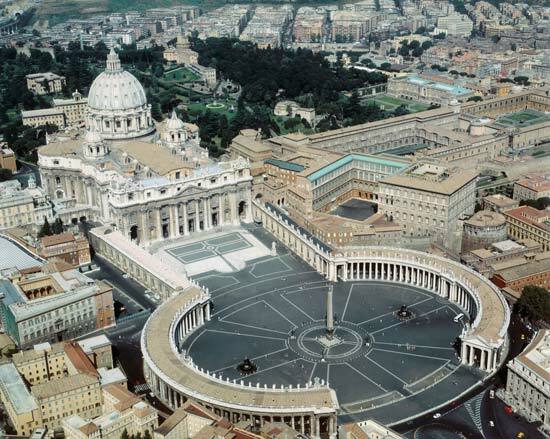 This basilica and square is technically out of Rome and located in the Vatican territory. 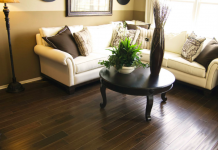 It is sacred for artisans and art lovers. 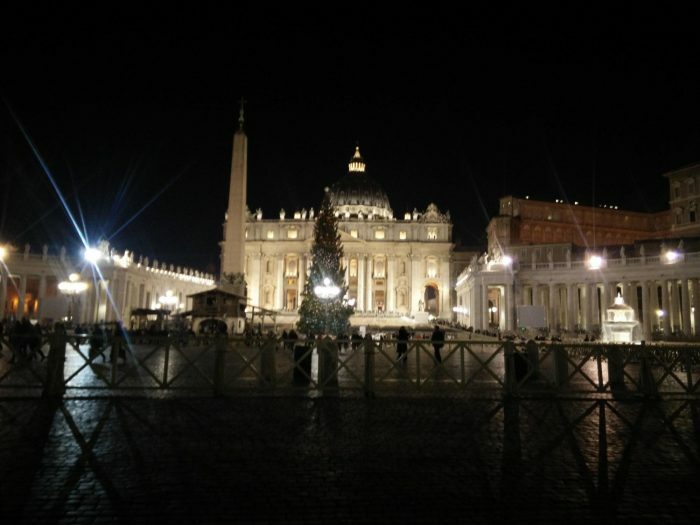 The structures here house the head of Christianity, the Pope and the Papal offices. 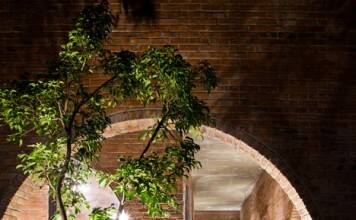 A number of prominent artists have worked on interiors, sculpture architecture and urban design here. 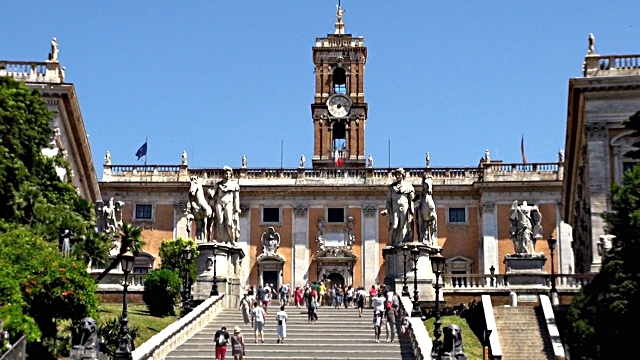 Capitoline Hill is the smallest of the seven hills of Rome. It sits between the Forum and the Campus Martius. It houses most importantly Piazza del Campidoglio designed by the legendary Michelangelo. The square is surrounded by buildings on three side. 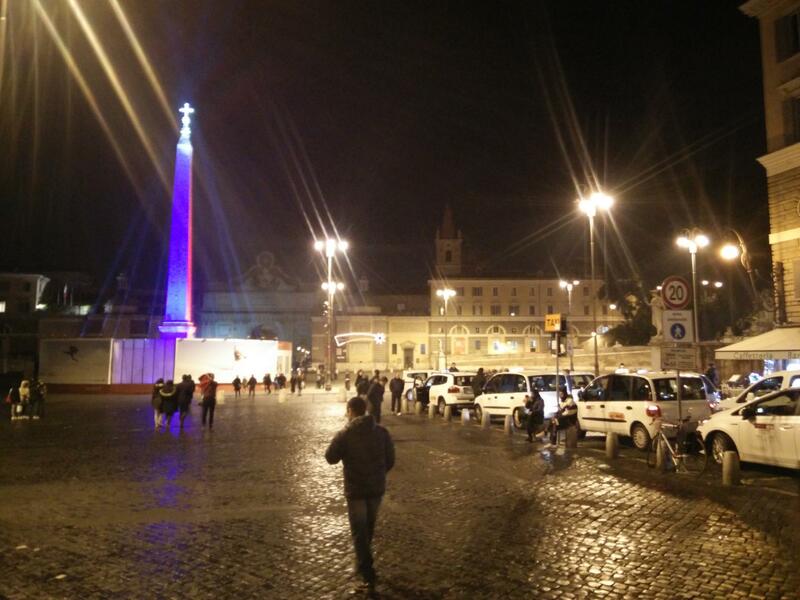 This piazza literally means “people’s square” however it got its name for the nearby Santa Maria del Popolo. 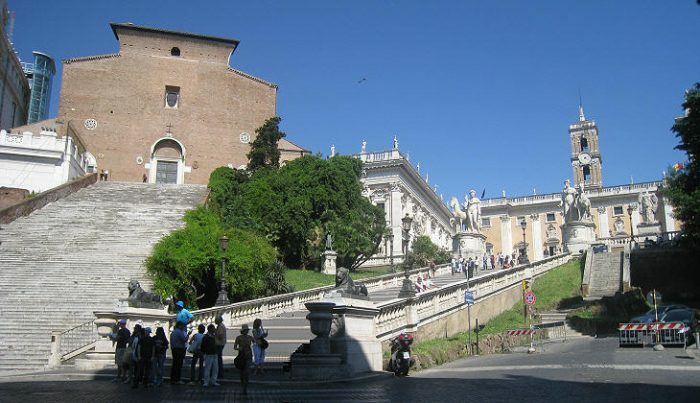 It is located near the Aurelian Wall on the northern gate side. 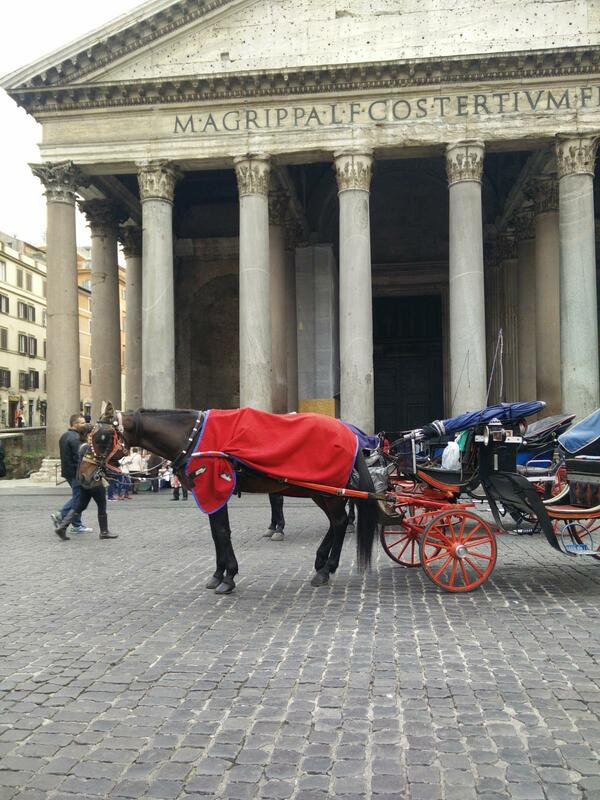 In ancient times, this was the first piazza that a traveler would encounter when he reached the city. 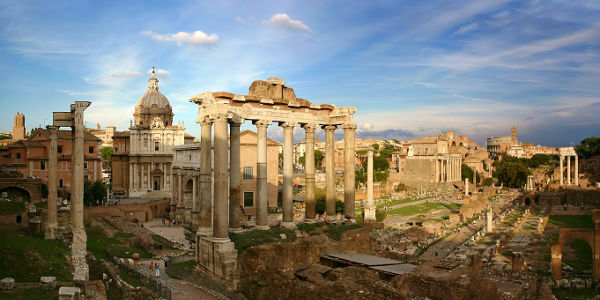 A continuation of impressive ruins of old buildings near the Colosseum is referred to as Roman Forum. This housed temples, churches and many liberal and exciting public spaces. 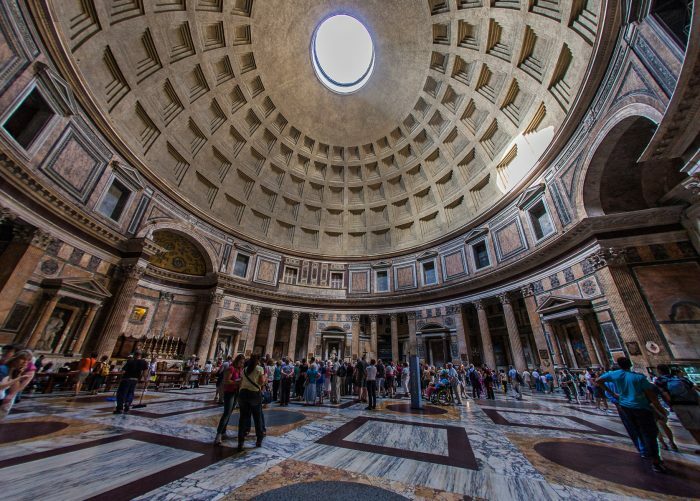 It was destroyed after the fall of the Roman Empire but was excavated and preserved of what it was in 18th and 19th century. 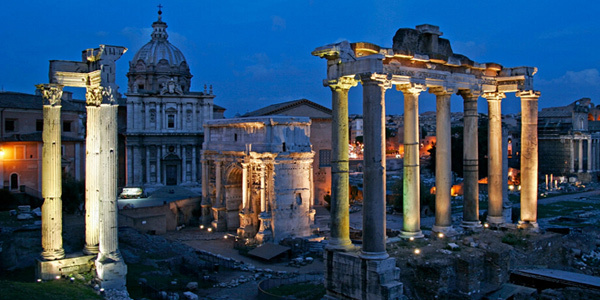 The Roman Forum lit up at just after dusk. 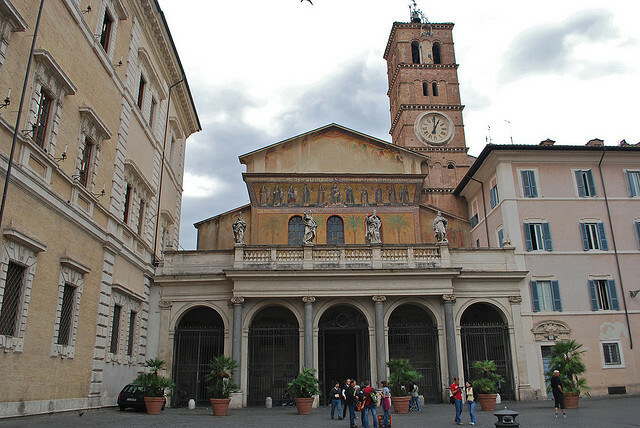 Located in the most important part of the vibrant Trastevere district of Rome, this church is dedicated to Virgin Mary. It dates back to 3rd century. 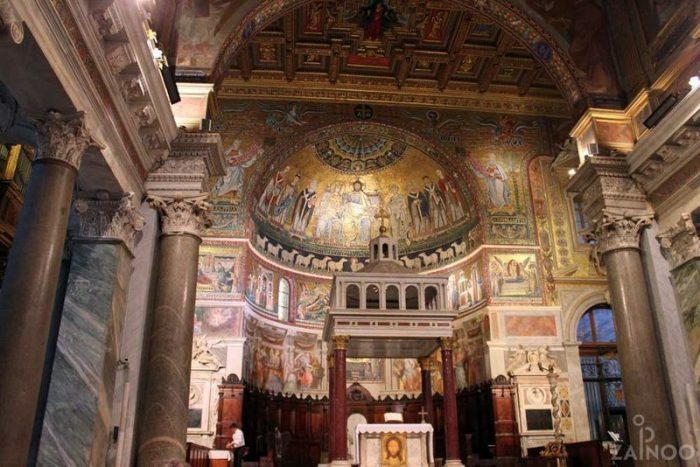 According to a legend, this basilica is located where oil springs miraculously came out of the ground.